Distributism is a leftist movement, or rather would be, were it not for one major distinction between it and every other leftist movement – distributists are either quiet with regard to the necessity of class conflict, or they state they are against it (in keeping with the “plain” reading of C[atholic] S[social] T[eaching]). Leftists, whether anarcho-syndicalist, anarchist, communist, lib-communist, or socialist (here speaking of socialism proper), all believe that there cannot be an overcoming of capitalism without class conflict. 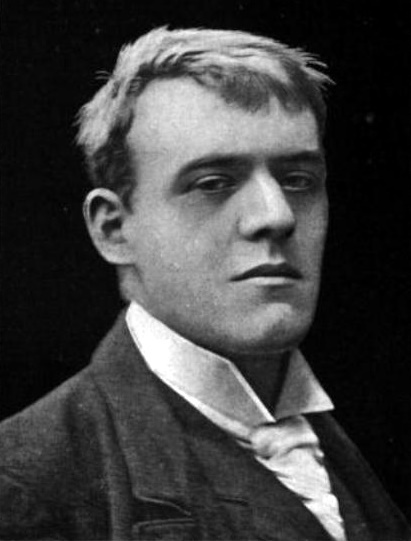 […] Belloc […] never, so far as I have been able to find, preached, or even mentions positively, class war and the cultivation of class conflict as a socio-political aggressor which will bring this about. Without a belief in the role of class conflict, you are basically left with a political vision in which you really hope most people, including most rich people, will, without a serious fight, assent to the desires of a society that on the whole wants to be oriented towards distributism. How can a thinking person can look at the history of capitalism and rationally conclude that this is possible? Are lies and bribes and dead men’s bones. I found my cigar and lit it again, and musing much more deeply than before, not without tears, I considered the nature of Belief. Of its nature it breeds a reaction and an indifference. Those who believe nothing but only think and judge cannot understand this. Of its nature it struggles with us. And we, we, when our youth is full on us, invariably reject it and set out in the sunlight content with natural things. Then for a long time we are like men who follow down the cleft of a mountain and the peaks are hidden from us and forgotten. It takes years to reach the dry plain, and then we look back and see our home. What is it, do you think, that causes the return? I think it is the problem of living; for every day, every experience of evil, demands a solution. That solution is provided by the memory of the great scheme which at last we remember. Our childhood pierces through again … But I will not attempt to explain it, for I have not the power; only I know that we who return suffer hard things; for there grows a gulf between us and many companions. We are perpetually thrust into minorities, and the world almost begins to talk a strange language; we are troubled by the human machinery of a perfect and superhuman revelation; we are over-anxious for its safety, alarmed, and in danger of violent decisions. And this is hard: that the Faith begins to make one abandon the old way of judging. Averages and movements and the rest grow uncertain. We see things from within and consider one mind or a little group as a salt or leaven. The very nature of social force seems changed to us. And this is hard when a man has loved common views and is happy only with his fellows. And this again is very hard, that we must once more take up that awful struggle to reconcile two truths and to keep civic freedom sacred in spite of the organization of religion, and not to deny what is certainly true. It is hard to accept mysteries, and to be humble. We are tost as the great schoolmen were tost, and we dare not neglect the duty of that wrestling.